This contract creates a licence granted by the owner of a car park to use the car park for parking a vehicle in return for a fee. 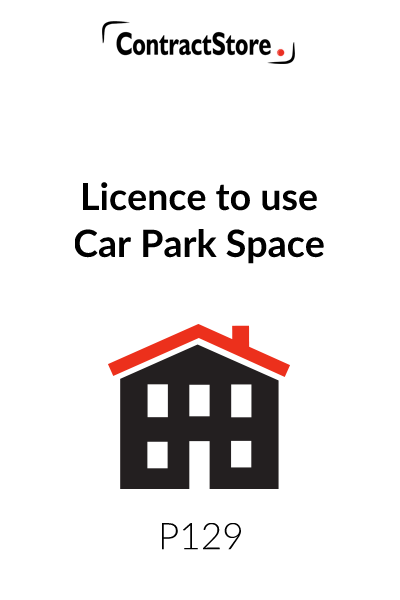 It is in a user-friendly format with a set of straightforward terms and conditions designed to regulate the arrangements for the licensee’s use of the car park as well as protect the car park owner’s rights. 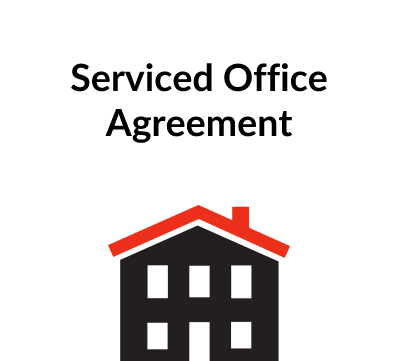 It includes a form for recording the details of the agreement. This contract creates a licence granted by the owner of a car park to use the car park for parking the licensee’s vehicle in return for a fee. 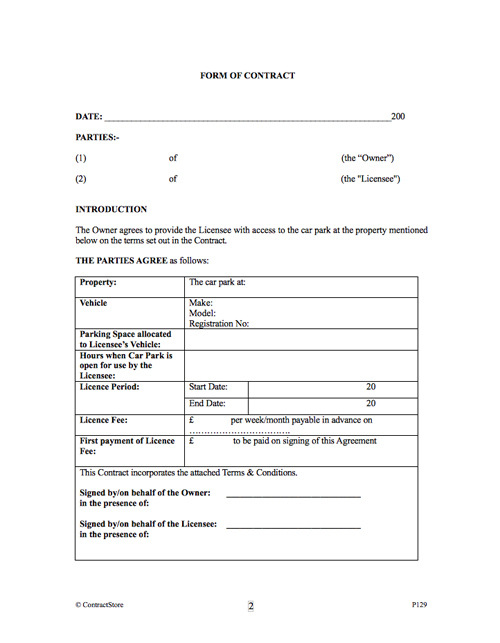 The form of contract contains the key details for the licence in a user-friendly format with spaces to identify the location of the car park, the fees payable, the registration no. 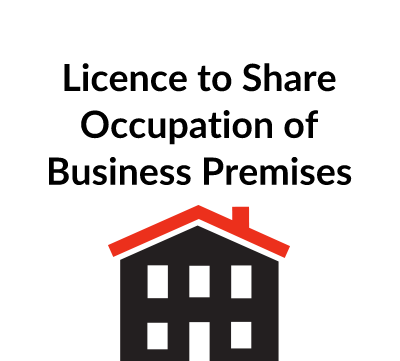 and other details of the licensee’s vehicle, the duration of the licence and the opening hours of the car park, when relevant. Attached to the one page contract are the Terms & Conditions for use of the car park. Definitions & Interpretation which includes a reference to Rules that may be posted at the car park and have to be observed by the licensee. This deals with the need to use an allocated space if the Contract requires it and the owner’s right to change this to another space. The licensee must not cause any nuisance or damage and the clause prohibits the car park from being used for repairing the vehicle. The arrangements for paying fees are covered here as is the need for payment by direct debit in some circumstances. The owner can claim interest if fees are not paid on time and he can also change the fees annually. The owner reserves the right to terminate the contract in certain circumstances, including non-payment of fees. 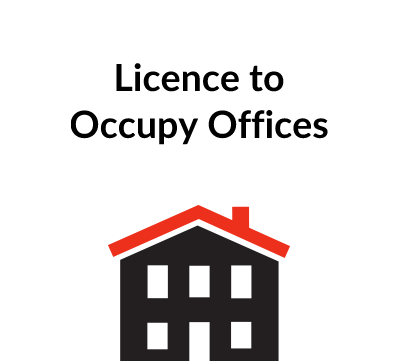 The licensee can terminate early by giving notice but is not entitled to any refund of fees already paid except at the owner’s discretion. The vehicle and contents are at the licensee’s sole risk when in the car park. The owner has no liability for any failure to provide the parking space if this is for reasons beyond his control. There are then a few short paragraphs dealing with notices under the contract; non-transferability of the contract by the licensee; disputes and governing law and a few other standard clauses.